The next Friends of Music concert will take place on July 4 and will feature David Salleras and Christopher Duigan. 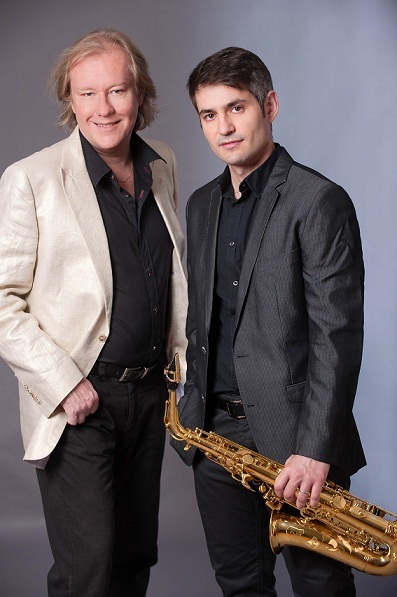 Virtuoso saxophonist David Salleras visits South Africa once again to tour with pianist Christopher Duigan. Since his first visit to South Africa in October 2012, Salleras has been collaborating on a project of concerts and recordings with Duigan. Salleras is known for his flexibility and knowledge of multiple musical genres and coupled with his unique ideas, has resulted in a highly successful international career. Christopher Duigan is one of South Africa's leading concert pianists. He has performed extensively with all leading South African orchestras in a repertoire of more than 25 concerti. He is a Steinway Artist. Their programme will include Fantasie by Demersseman; Mood Music 2, Conversations, Nocturne No 3, First Round by Duigan; Sonata in G minor by JS Bach; Mi Bailora by Salleras; Scaramouche by Milhaud, and Oblivion Francanapa by Astor Piazzolla. The Prelude Performer for the evening will be Luxolo Mahlasela (tenor) who started singing at church when he was just 7 years old and since then won numerous competitions as a soloist. He is a third-year student in Music performance at UKZN and has performed in the UKZN’s musicals Carousel, Oklahoma and the recent Westside Story. He will perform Joseph Haydn’s In Native Worth as well as two works by Gaetano Donizetti - Una furtiva lagrima and Com'e gentil. He will be accompanied by Professor David Smith. The recital takes place at 19h30 on July 4 at the Durban Jewish Centre at 44 K.E. Masinga (Old Fort) Road in Durban. Tickets R100 (R80 FOM members and R20 orchestral members & students) available at the door.